3 months with no updates, what the hell is going on?! Basically (and I know this is the standard excuse of all bloggers) I've had no time. Not no time for blogging but no time to get into anything serious poker wise to talk about. The joys of working for yourself, it's not all going to the gym and messing about online. Saying that I have been dipping in and out of something called Let it Ride (it's very quick and simple) so thought I'd share it. For a start Let it Ride or Let It Ride Poker as some call it is one of the lesser known card games. It's a great way to play poker when you are just beginning as you'll soon have the winning hands down. It has the least amount of risk for your bets and there are loads of places to play it online. As mentioned before Let it Ride Poker is played with the same hands as other poker games. The highest being a royal flush with the lowest being a hand with just the highest card. Unlike Texas hold’em, you are playing against the house and not against other players. If your hand is a winning hand, then you win the hand. My wife plays a hell of a lot of this in the local casino, it sort of takes a lot of the pysch out of poker which I know some people don't like. Let’s begin with the betting. 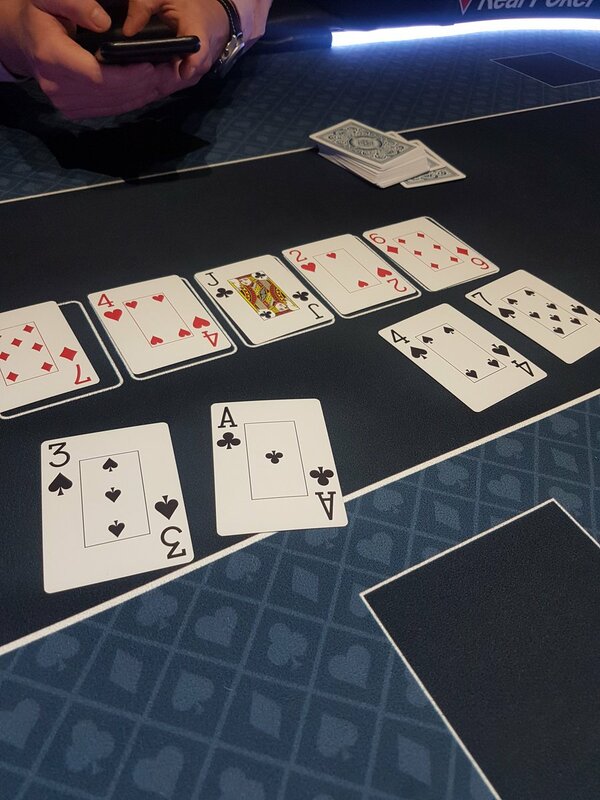 Every hand begins with betting one amount on each of three spots. After the first cards are dealt, you get to decide whether you want to leave all three bets out there, “let it ride” or pull one of the bets off. Although this is the traditional way some websites now consider the second amount to be a bet to be made after seeing the first cards and the third amount to be a bet after seeing the fourth card. Just check the rules for individual sites before jumping in. The amount of the pay off on your bet is based on the strength of your hand. For example on most sites, the lowest winning hand is a pair of Jacks or better. The pay off on this bet would be equal to the bet itself. So, for example, if your original bet was $5 and you left your second bet out and your final bet is still out there too, then you would have a total of $15 and you would win $15. However, if you pulled back your second and third bet, you would have only $5 on the table and you would win only $5. Make sense? This kind of pay off requires special consideration when betting. Of course, if your first 3 cards were a winning hands by themselves, you would obviously leave the other two bets on the table. The hard decisions come when they are not and you have to make the best decision based on the cards and their ability to become a winning hand. If you have a pair or a face card, you will probably want to let the second bet ride to see if you get a card that will make a winning hand. Then, you decide based on that card if you want to let the next one ride, too. As you play more you will see how this works. If you're good with your odds this can be a great game for making some quick money. If you don't like bluffing and prefer to let the odds play out it's definitely one for you. Like just about all gambling if you are learning to play this game find a site that allows free play (There's no shortage). Most sites that play for real money will have a practice site where you can play to learn the strategy before actually playing for real cash. Because it's so reliant on odds and you are playing against the house you'll be amazed just how similar the real cash and free games are i.e. get good at one and it often translates into the other, something that doesn't happen with many other poker types!